Brydon, Swearengen & England P.C. shareholder and attorney Brian McCartney was elected as the Vice-Chair of the National Telecommunications Cooperative Association’s Legal Committee. The NTCA is the premier association representing more than 580 locally owned and controlled telecommunications cooperatives and commercial companies throughout rural and small-town America. The NTCA’s Legal Committee reviews legal developments affecting NTCA members. 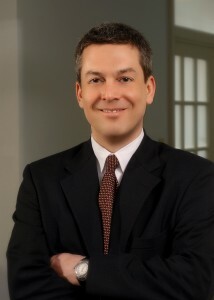 Brian McCartney practices primarily in the area of administrative law with an emphasis in the area of telecommunications. Brian is also the co-author of the chapter on administrative rules and rulemaking in the Missouri Bar’s Administrative Law desk book. Visit the contact page for directions on contacting McCartney directly.